Indiana librarians may nominate picture books for the award from June through October 1st each year. What does that mean? That means that we need your nominations now. Have you read a fun picture book in your storytime? Did you run across a winner during your Summer Reading Program? Have a book that makes you laugh every time you read it? If you work with youth in a library, either in a school or in a public library, you are eligible to nominate as many titles as you wish. Nominating is easy. Send an email to Suzanne Walker at suwalker@library.in.gov. Include in your email: Title, Author, Illustrator, and Publication Date, as well as the following justification: In 100 words or less, please tell us why this book is special with an emphasis on how it supports at least three of the ECRR® practices. In lay-man’s terms, does the book make you talk, sing, read, write, or play with the children, ages 0-5, with whom you are sharing the book? • Be published, in its current edition, within the current award cycle year (that means from January 1, 2014 until now). 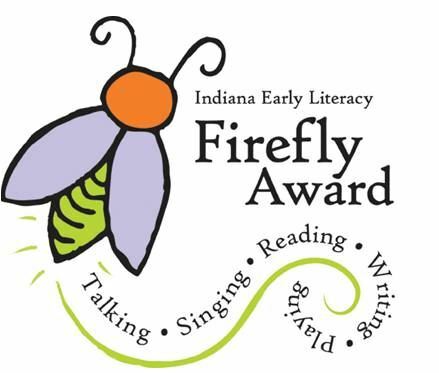 The nomination pool will be narrowed down to 5 titles by the Indiana Early Literacy Firefly Committee by January 1, 2016. Ballots will be released and votes will be accepted until early May. More information on ballots and how to vote will be available in early 2016. 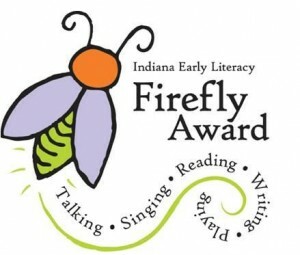 The Indiana Early Literacy Firefly Award winning title will be announced on May 23, 2016. Nominations close in two weeks! Get them in today. This entry was posted in For Librarians, Professional Development Office (PDO) and tagged Early Childhood Literacy, Firefly Award, Indiana, Indiana Early Literacy Firefly Award, Indiana State Library, Librarians, Picture Books by indianastatelibrary. Bookmark the permalink.